It was almost exactly a year ago that Steve Ballmer issues his last “State of Microsoft” address, something we covered here at Uncharted Waters (twice!). What does the memo say, and what does that mean for industry, individuals, and, Microsoft’s 127,000 people? Today I’d like to talk about two major themes of Nadell’s memo, in plain English. Translation: We make productivity tools (office, visual studio) and the platforms they run on (Windows). As we do this let’s shift our focus to applications that are are mobile (tablets, smartphones) with rented, external hardware (Azure). Not a huge revelation, but it might help a product manager make some decisions on which features to build. When it comes to running visual studio on mobile devices, Microsoft currently has partners – most notably perfecto mobile and clear team; this memo may be an indicator of a potential acquisition, or build-up in that direction. An early draft of this article raised a question – will Microsoft’s own staff work on building mobile application for Windows Phone, building the platform, or iOs or Android, which are more popular? It turns out they might not have to choose at all. Commenting on this issue, a Microsoft spokesman informed me about Universal Windows Apps and a partnership with Xamarin that allows programmers to write code in Visual Studio and target multiple platforms – including iOs and Android. This concept of write once, run-anywhere breaks a habit of platform lock-in for Microsoft products. It might just be a way forward for the company in a mobile world where Microsoft has something between a two and three percent market share. Finally, every team across Microsoft must find ways to simplify and move faster, more efficiently. We will increase the fluidity of information and ideas by taking actions to flatten the organization and develop leaner business processes. Translation: We’re going to lay people off, including middle management. Since that 2013 annual report the company has continued sales and profit growth. I suppose the problem could be that sales aren’t growing fast enough. 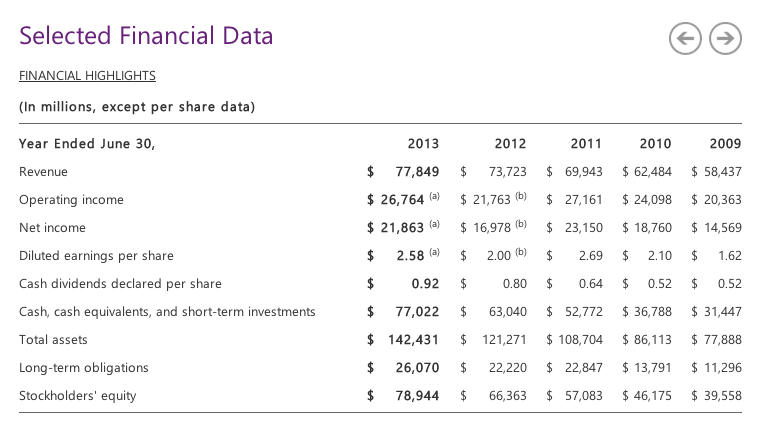 Look at those numbers again, and consider Microsoft’s 63 billion in cash and short-term investments. Does this look like a company that needs to lay anyone off? Instead of layoffs, could they shift roles, responsibilities, find new work and new markets for these employees? The Problem: Make no mistake: leaner business processes and flatten the organization are hints about layoff. The company does not need reductions; right now it can probably survive five or six years of bad management and still be profitable. 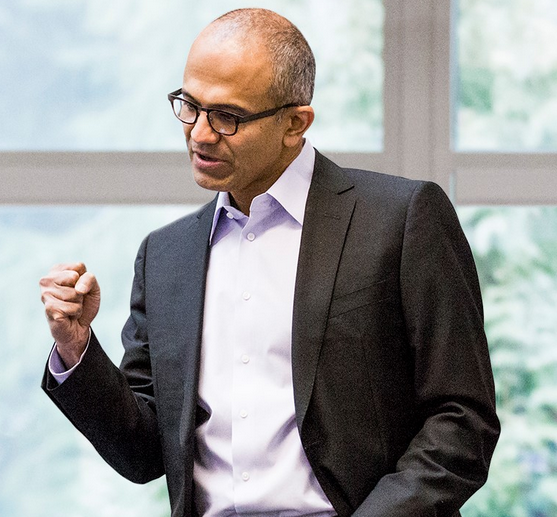 By even hinting at layoffs, Nadella is injecting fear and competition into the workplace. Our source within Microsoft declined to comment on this issue. The memo will help point Microsoft employees back toward what they are good at: Operating Systems and Productivity Tools, with a new, special emphasis on Cloud and Mobile. In that, it may prevent people from investing in side projects that are outside the vision. That was clearly something Nadella was trying to do; the repeat use of “The Core” sounds eerily like the same term in Chip and Dan Heath’s Made To Stick. Can Nadella’s cloud-first, mobile-first message succeed in a company with 127,000 employees and layers and layers of management? UPDATE: On July 17, four days after his initial memo, Nadella issued a follow-up announcing job cuts f up to 18,000 workers. After reading his memo, this is the line that intrigued me the most: "Our first-party devices will light up digital work and life." Just from that line, it seems that Nadella is putting all of his eggs into one basket (the Surface Pro 3 for example). And it looks like you were right Matt. Microsoft just announced that it will be cutting up to 18,000 jobs (just about 14% of its workforce).